The greatest obstacle that hampers conversion -- which Pope Francis wants the Church to do -- is constituted in some measure, by the behavior of a good part of the clergy, both high and low [ranked]. Behavior, at times, of non-communication if not hostility. Like the disciples in the Garden of Olives, His disciples are still asleep. The fact is disconcerting. For this reason the phenomenon ought to be examined deeply, in its causes and modalities. The clergy drags the community behind them, which, on the contrary, should be accompanied in this extraordinary moment in time. A great part of the faithful have understood this favorable time, despite everything, this kairós, the Lord is giving to His community. A great part of the faithful are celebrating. Yet, the portion closest to somewhat unenlightened priests are kept inside old horizons, the horizon of habitual practices, of outmoded language, of repetitive thought of no vitality. Deep down, the Sanhedrin was always faithful to itself, rich in devout obedience to the past, mistaken for faithfulness to tradition, poor in prophecy. What are the reasons for all this? First place on the list has probably got to be the modest cultural level of a part of the clergy, be they high or low- ranked. 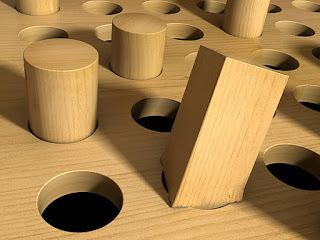 We cannot generalize and therefore, we have no difficulty in admitting that there are many exceptions in this state of things, fortunately. In many priests, unfortunately, theological culture is scant and even less so is their Biblical preparation. The cause of this deplorable state of things is easily identifiable. When a course of studies at the university level, just to give an example, does not leave the student with the desire to think, to continue studying, to exercise a minimum critical sense (of things), it means that it has failed in its task. The approach of a great number of seminaries does not favor the forming of a mentality of work and commitment. The years of preparation for the priesthood should foster the awareness about the necessity of the office as a true and proper job. Like any other person the priest also works to earn his bread. Brokenness. That is the only word, a neologism I am sure, that describes our current situation, our plight. Last evening before dinner I read the New York Times, skimming as I always do. I had no hope of objectivity in the reporting of the news. Objective reporting went several years ago. But I was deeply saddened to see in an article on yet again another personal debacle within the Trump administration of revolving doors and twitter invective the reporting of the ipsissima verba of an off hand conversation of someone who is working at a high level in the administration and who worked to get someone high up fired and succeeded. 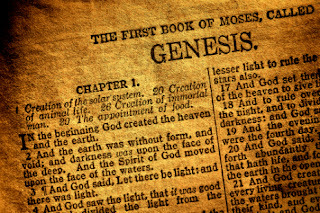 The Times reported his language in the very words he used, which included four letter words that are now common in the artistic media and in everyday talk among so many of our young people but still never until this time have been printed in a newspaper that is read by many people indeed, including young people. For me this was a powerful sign of where this society is. There is no doubt in my mind that the Times did this on purpose to make clear the grossness of these people who are close to the president. But printing those words is crossing a line that needed not to be crossed, because we all know the low level to which discourse has descended among the majority of people. 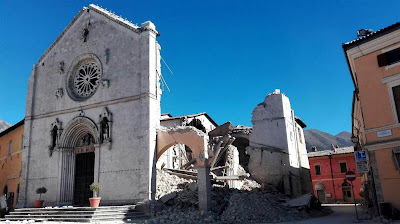 When the terrible earthquake destroyed the town of Norcia, the birthplace of St. Benedict and destroyed the monastery of Benedictine monks there, I said that this was the sign of the end of Western civilization as we knew it, that is, a civilization founded on the Christian faith, not perfect, but yet with a grounding in faith in the person of Jesus Christ and all that that means. What is going on not only in this country but also in the whole Western world provides incontrovertible evidence that we are living not only in a post-Christian time but also in a real way in an anti-Christian time. The 14th annual Marie Reine du Canada pilgrimage from Lanoraie, Quebec to the miraculous shrine of Notre Dame du Cap, will take place September 2-4, 2017. 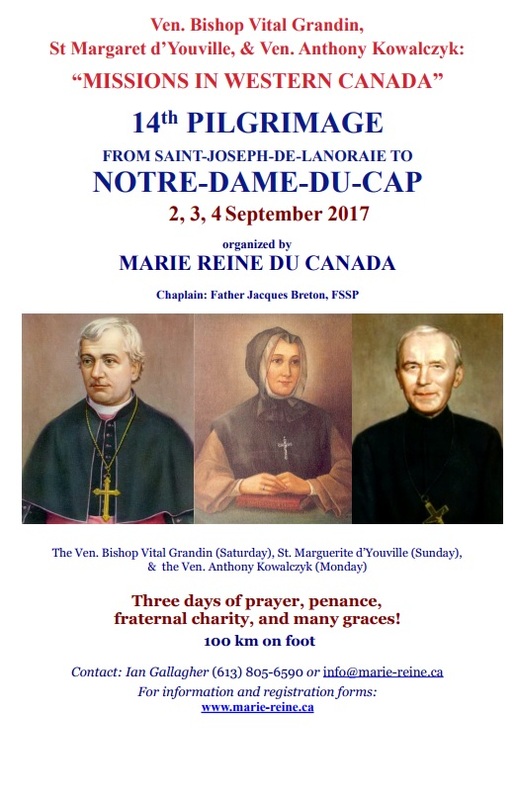 It is an arduous 100KM (62 miles) walk along the St. Lawrence River in the footsteps of the North American martyrs. Pilgrims from Ontario, Quebec and the United States are served en route by priests of the Priestly Fraternity of Saint Peter (FSSP). Mass is celebrated daily in Extraordinary Form of the Roman Rite. 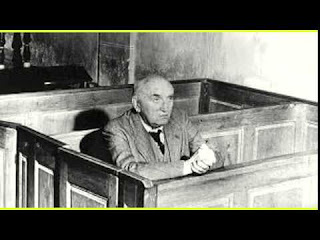 By one of the greatest writers of the 20th Century, Paul Claudel, writing for the most important French daily, as the proponents of the "Liturgical Upheaval" that would lead up to the post-Vatican II disasters, especially the New Mass, started to abuse the Traditional Mass with the illicit posture "facing the people". There seems to be a Fake News epidemic in traditional Catholic websites -- the latest of which are repeated reports of "rumors" (there are true and untrue rumors...) according to which Pope Francis wants to "abolish" the Motu Proprio Summorum Pontificum. The rumors recur periodically, with variations. 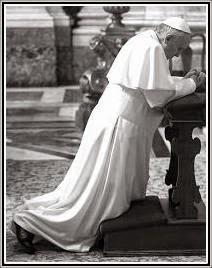 Most often, it is said that Francis will do so as soon as there is a "deal" with the Society of Saint Pius X (FSSPX / SSPX) for the establishment of a worldwide Personal Prelature. These rumors are not true. On Irish National TV (RTE 1) last Sunday night, we saw an Irish parish priest from the Diocese of Waterford & Lismore, perform a drag act as "Shirley Bassey." It was the third show in a series of "Francis Brennan's Tour of Vietnam" with 12 travellers including Fr. Richard Geoghegan, P.P. (Ballyneale, Tipperary). Father Geoghegan says he is following the parable Jesus preached about not hiding your talents under a bushel but to go out and use them. He is saying that he has a talent for drag and he is using the drag talent that God gave him. 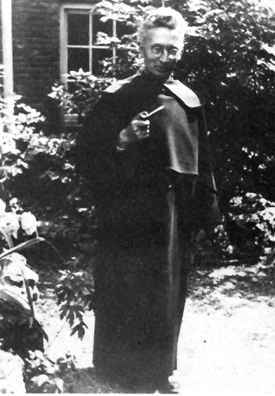 Father Titus Brandsma, a Carmelite friar and prominent Dutch scholar, was one of the over 1,000 Catholic priests who perished in the concentration camp of Dachau, near Munich (Bavaria, Germany). It is thought that Brandsma, who had been interned in Dachau for several months, was executed exactly 75 years ago today, on July 26, 1942. Dear Friends, I’m sharing some joyful news. Today, our Archdiocese welcomed six nuns from the Carmelite Monastery of Valparaiso, Nebraska, and four nuns from the Carmelite Monastery of Elysburg, Pennsylvania. They are transferring to the Carmelite Monastery of Saint Joseph and Saint Anne here in Philadelphia (The Discalced Carmelite Nuns of Philadelphia).As a result of these transfers, there is now a community of twelve nuns in the Philadelphia Carmel, which was founded in 1902. 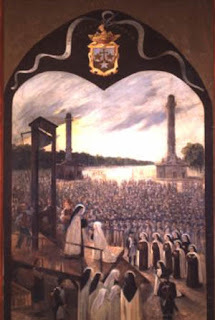 Since that time it has been home to generations of Discalced Carmelite nuns who have dedicated themselves to a cloistered life of contemplation and prayer for the good of us all. The Carmel is also welcoming a new chaplain, Father William Allen, FSSP. Extensive Interview with Cardinal Müller: "I'm loyal to the Pope, not an adulator"
Rome. The truth about the last audience between the former Prefect of the Congregation for the Doctrine of the Faith and Pope Francis; the divisions in the Church after the Synod. “The Magisterium does not have the authority to correct Jesus Christ, if anything it’s the opposite”. Your Eminence, do you have any idea why the Pope decided to remove you as Head of the Congregation for the Doctrine of the Faith? “No, I don’t know, because the Pope didn’t tell me. He just informed me that my mandate would not be renewed. There have been many speculations in the mass-media recently, and I would say that the nomination of the new Secretary of the Congregation (Monsignor Giacomo Morandi) made public last Tuesday, is a key in understanding these maneuvers. Cardinal Gerhard Ludwig Muller is serene; German theologian and Prefect for five years of what was once the Holy Office, nominated by Benedict XVI, confirmed by Francis, who, even so, told him of his decision to release him of his office last June 10th. With Il Foglio he retraces once again the stages that led to his removal: from the controversies on the interpretation of the post-Synod Exhortation Amoris laetitia and, more in general, he reflects on the (bad) state of religion in Europe. Yet there was talk of his discharge for some time, so much so, that there were even speculations from the media of eventual diocesan relocations for the editor of Joseph Ratzinger’s opera omnia. A common calendar and lectionary for the Novus Ordo and TLM? 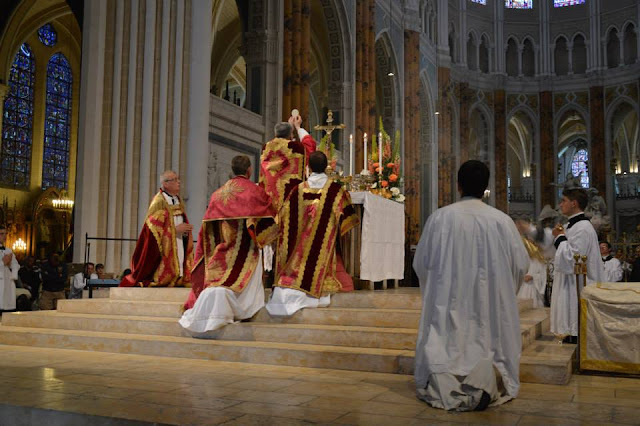 Cardinal Sarah's La Nef article marking the 10th anniversary of Summorum Pontificum has awakened the debate over the possibility (and desirability) of a "common rite" derived from the Traditional Latin Mass and the Novus Ordo. (Dr. Joseph Shaw has responded to the cardinal's proposals on this blog.) One of Cardinal Sarah's main proposals is that of common calendar and lectionary for the TLM and the NOM. The proposal does not come out of the blue; versions of it have been floated by some proponents of the reform of the reform since the 1990's. Furthermore, from 1991 to 2007 the use of the Novus Ordo lectionary was theoretically permitted in celebrations of the 1962 Missal, and was actually imposed on such celebrations in a handful of dioceses. 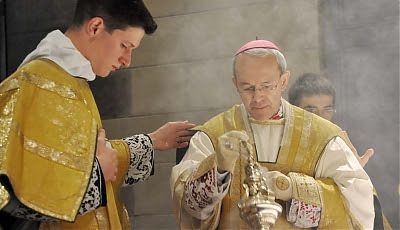 In recent years it has become more common for bishops to celebrate Sung Mass more sacerdotali, that is, just as priests do and without the sacred ministers (subdeacon, deacon and assistant priest) and ceremonies peculiar to a Solemn Pontifical Mass. This has to do with the difficulty in most places of having enough sacred ministers, and the desire to have something like a Solemn Pontifical Mass whenever there is a bishop available to celebrate Mass according to the 1962 Missal. Unfortunately, the "Pontifical Sung Mass" was not foreseen in the rubrics of the liturgical books in force by the end of 1962, raising endless questions about the licitness of the practice. 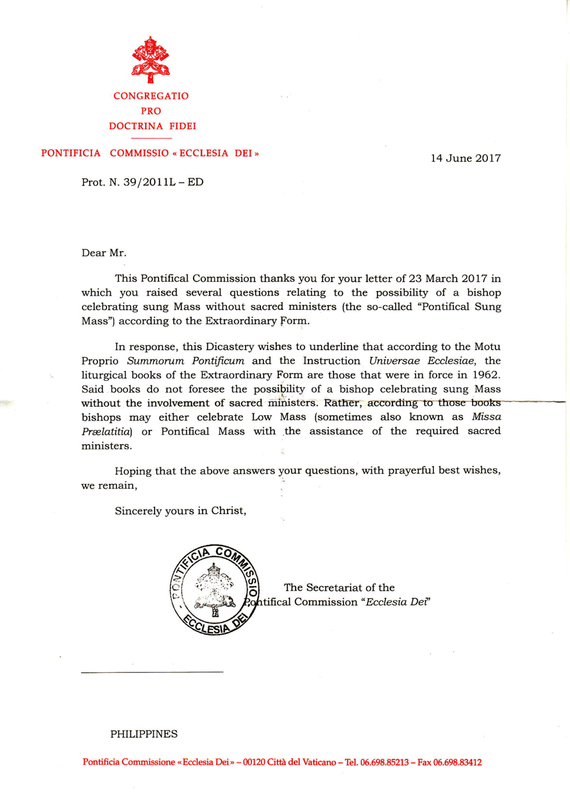 In response to a dubium from a Traditional Catholic choir in the Philippines, the PCED has now responded with a clarification on Pontifical Sung Masses. In summary: bishops who wish to celebrate according to the 1962 Missal are to choose between Low and Solemn Pontifical Mass. The "Pontifical Sung Mass" is not among the choices. It is a priority that, with the help of the Holy Spirit, we can examine through prayer and study, how to return to a common reformed rite always with this goal of a reconciliation inside the Church. 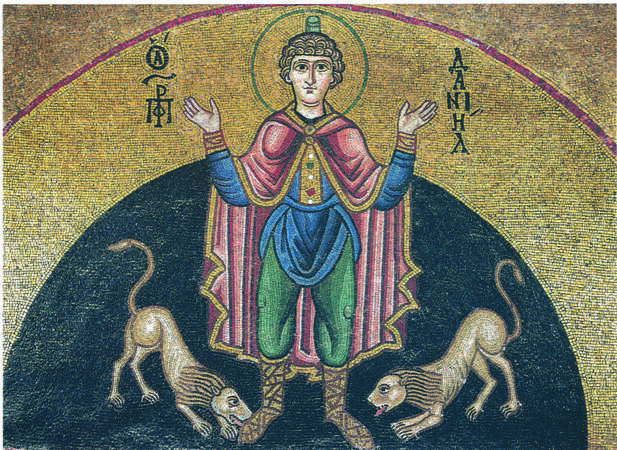 St. Daniel, whose name in Hebrew means "God is my judge," was a heroically virtuous young Jewish man whom the Babylonians carried away from Jerusalem into captivity in 605-604 B.C. This statement, which synthesizes six work meetings held by the Commission, turns the Catholic conception of martyrdom upside down. 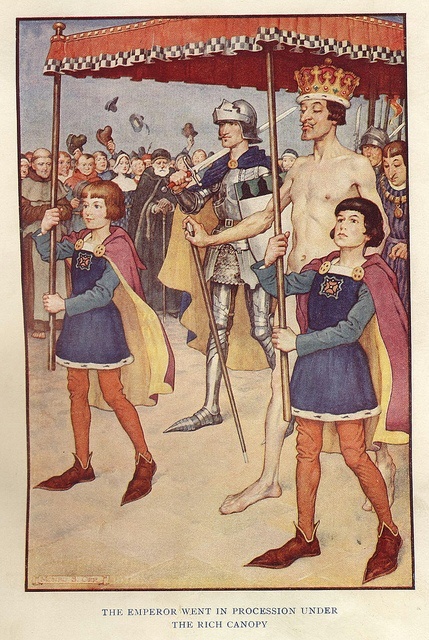 Martyrdom, in fact, according to the Catholic Church, is death faced in witness to the Truth. Not any old truth, but the one Truth of the Catholic faith or morals. In the Church, for instance, the martyrdom of St. John the Baptist is celebrated, since he suffered death for having publically rebuked Herod’s adultery. St. Augustine’s saying applies here: non facit poena, sed causa (Enarrationes in Psalmos, 34, 13, col. 331). It is not death [itself] that makes a martyr, but the reason for the death, inflicted by hate of the Catholic faith or morals. My initial response—unbidden, unguarded—to the Civiltà Cattolica broadside against American conservatives was relief. Almost a kind of glee. The Emperor has thrown his New Clothes on the floor in a fit of pique; his courtiers bend low to pick up what is not there. The pantomime is fully in the open. Here, thankfully, is a barefaced specimen of intellectual sterility too obvious for a cosmetic gloss. The Spadaro-Figueroa tirade is as nasty as it is ignorant. Writing as proxies for Francis, the pair make plain their boss’ uncomprehending distaste for America—its history, its politics, and its Christianity. They have given us an accidental exposé bereft of critical reflection and with no ear for its own cant. Of a piece with longstanding European disdain for the American character and manners, the invective suggests a crippling case of status anxiety vis-à-vis the global intellectual elite it aches to ingratiate. I write this brief note to avert readers of the publication of the definitive English version of the book thus entitled by Loreto Publications, now available on ‘Amazon’. 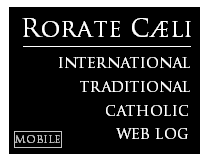 Readers may remember having read it in installments on Rorate Caeli some years ago. 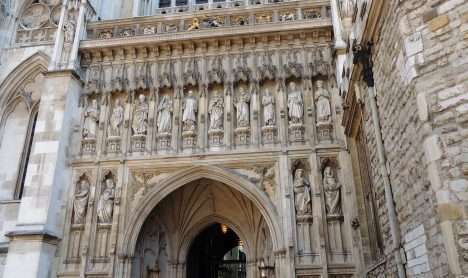 The Mother of God and her Divine Son appear to Saint Simon Stock in Cambridge - 766 years ago today, in 1251: has there been any other moment in English history whose consequences have aided so many souls throughout the world achieve and keep holiness, reaching final perseverance? 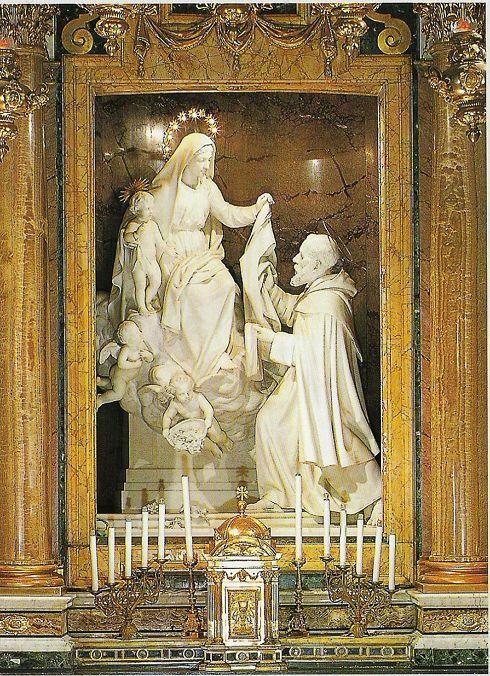 Men and women, made of flesh, need material reminders of the presence of God in their lives - and what could be more profitable than the blessed physical sign that Our Lady's Mantle covers us at all times, that Her Divine Son keeps watch over us day and night? In this hour, when the Church of Cologne and believers further afield take their leave of Cardinal Joachim Meissner, I am with them in my heart and thoughts and am pleased to accede to Cardinal Woelki’s wish and address a word of reflection to them. When I heard last Wednesday by telephone of the death of Cardinal Meissner, I could not believe it at first. We had spoken to each other the previous day. From the way he spoke he was grateful to be on holiday now, after he had taken part the Sunday before (25th June) in the beatification of Bishop Teofilius Maturlionis in Vilnius. His love for the neighbouring Churches in the East, which had suffered persecution under Communism, as well as gratitude for endurance in suffering during that time left a lifelong mark on him. So it was certainly no accident that the last visit of his life was made to a confessor of the faith. In an interview with Naples newspaper Il Mattino, published on July 9, 2017, Marcello Pera presented what can reasonably be called the general view of Pope Francis by the wide moderate spectrum of Italians, and Europeans, of all classes. "Bergoglio just wants to do politics, the Gospel does not matter at all"
Pera: "The indiscriminate welcoming [of migrants] risks exploding tensions"
Pope Francis, in a new exclusive interview granted to Eugenio Scalfari for "Repubblica" intervenes in the political debate with strong and explosive opinions that at one time would be considered "leftist". This time, the Pontiff turned to the great of the earth assembled in Hamburg for the G20, opposing as a matter of principle to every policy intending to control and limit mass immigration from poor nations to Europe. In order to better understand the ideas, and above all the political and media action of the Pope, in relation to those of his predecessor, we have posed some questions to the former President of the Senate Marcello Pera. He, a [classical] liberal and Catholic, has, as it is known, shared many ideas with Pope Emeritus Benedict XVI (even writing in four hands with him a book: Without Roots: The West, Relativism, Christianity, Islam, Mondadori, 2004). Mr. President, what is the judgment you have reached regarding the continuous calls made by Pope Bergoglio on the welcoming of migrants? An indiscriminate, unconditional, total welcoming? "Frankly, I do not get this pope, whatever he says is beyond any rational understanding. It's evident to all that an indiscriminate welcoming is not possible: there is a critical point that cannot be reached. If the Pope does not make reference to this critical point, if he insists in a massive and total welcoming, I ask myself: why does he say it? What is the true end of his words? Why does he lack a minimum of realism, that very little that is requested of anyone? The answer I can give myself is only one: the Pope does it because he hates the West, he aspires to destroy it, and he does all he can to reach this end. 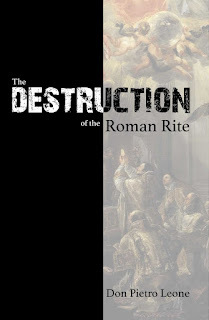 As he aspires to destroy the Christian tradition, Christianity as it has realized itself historically. 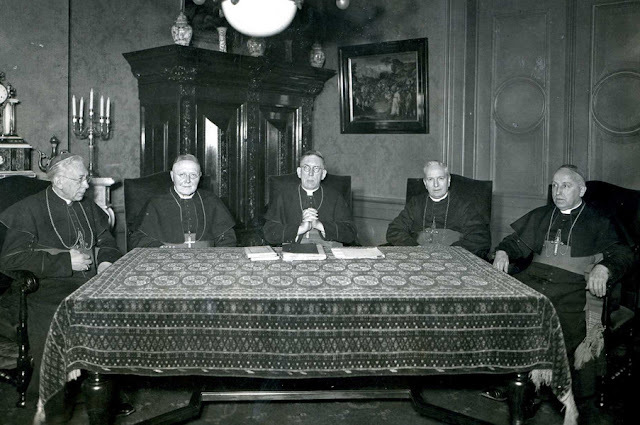 Forty years ago a historical event took place: Monsignor Marcel Lefebvre held a conference on June 6th 1977 at the Pallavicini Palace in Rome, on the subject “The Church after the Council”. I think it is worthwhile to recall that event, on the basis of notes and documents I have kept. Monsignor Marcel Lefebvre, founder of the Priestly Fraternity of St. Pius X (1970), after the priestly ordinations of June 29th 1976, was suspended a divinis on July 22nd of the same year. 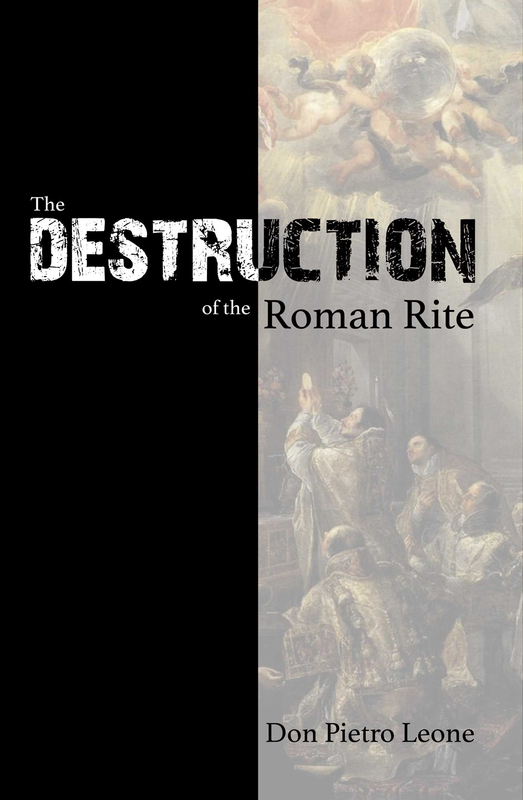 Informed Catholics however, had serious doubts as to the canonical legitimacy of these measures and in particular, incomprehension with regard to the behavior of Paul VI who seemed to reserve his censorships for only those who said they wanted to remain faithful to Church Tradition. 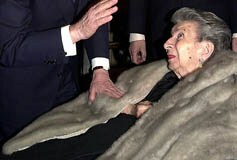 In this climate of disorientation, in April of 1977, Princess Elvina Pallavicini (1914 -2004) decided to invite Monsignor Lefebvre to her palace in the Quirinal, to hear his reasoning. A brand new traditional Latin Mass has begun at Our Lady of Lourdes in Gales Ferry, CT. The Mass is offered each Sunday at 2p.m. Currently it is a Low Mass, but they hope to begin at least an occasional Missa Cantata. Results of Australia's five-yearly Census, a detailed snapshot of how Australians live, where they come from, what they earn and what they believe were released this week. For those who value the nation's Christian underpinnings the picture was bleak. 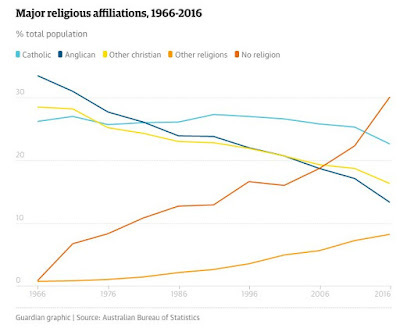 The proportion of Australians who marked "no religion'' on their Census form was 29.6 per cent __ in stark contrastto 1966 when just 0.8 per cent of the population ticked that box. 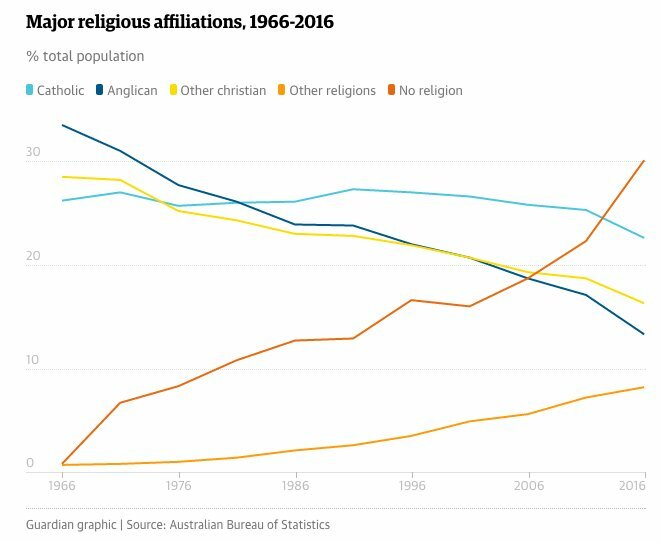 That year, 88 per cent of Australians identified as Christian; now it's a bare majority -- 52 per cent. Come the next Census in 2021,nominal Christians could be a minority, for the first time in the nation's history. Labels: Australia, Crisis of Bishops, Francis Effect? I happened to be listening to NPR on my drive home through the back roads so I could avoid the eternal traffic on 95. Late every afternoon they have a series on topical questions and choose one person from the left and another from the quasi-right, quasi because NPR seems to associate conservatives with red-neck Neanderthals who would be invited. There was a woman from the Boston Globe as one of the participants-I need not say which side she represented. The other was David Brooks from the New York Times, who, for that paper of record is a centrist, and does not always tow the Times line. The woman chided Trump for his speech as being nationalistic and narrow and exclusionary, this based on his mention of Western civilization and as something worth fighting for. David Brooks, to my pleasant surprise, said that he thought it a good speech and saw nothing wrong in Trump’s positive assessment of Western civilization that is worth fighting for. He the civilization of Plato and Aristotle, of Rome, of the moral, teaching that was the basis for cultural and civic traditions that came from the ancients and were developed through two millennia: this is something very real, and although far from perfect, was something Brooks is happy to be a part of. The growth of the Priestly Fraternity of St. Peter (FSSP) has been well known. This year, however, was a record-setter for the Fraternity as it ordained 19 young men into the priesthood -- it's most ever in a single year. We bring you, dear readers, this disturbing but not surprising anecdote simply to record it forever on this blog. But let's be honest: This pontificate, since the beginning, has put itself before Christ, before His Church's tradition, before His inerrant Word and, now, before His Mass. 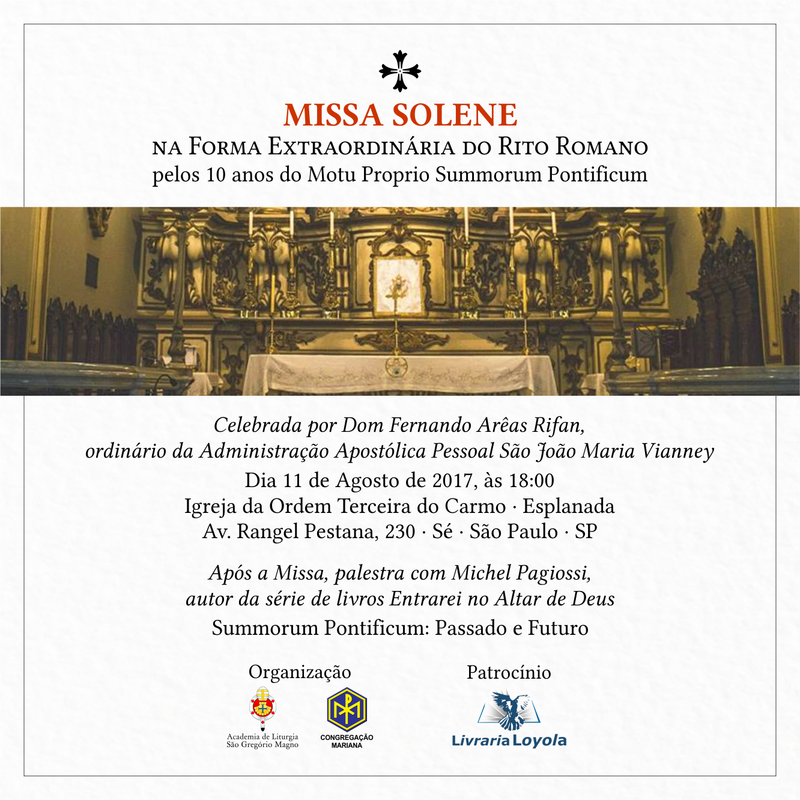 Sursum Corda is a nationwide initiative to foster the spiritual lives of the young adults in the apostolates of the Institute of Christ the King. For the seventh year in a row, Sursum Corda is offering a social and spiritual weekend for young people ages 18 and up, August 11-14. The event will be held on the beautiful grounds of Mundelein Seminary just north of Chicago. Canon Commins (Vicar at Saint Francis de Sales Oratory, St. Louis, Missouri) will be the chaplain for the camp, and several other canons are sure to be there as well. The program includes daily Mass, prayer in common and opportunity for confession, faith formation classes and discussions, and other social activities for young men and women. The weekend begins with check-in at 3:00 PM on Friday, August 11 at Mundelein and will end on Monday, August 14 at 12:00 PM. This year's admission fee is $250, which includes lodging and meals. For transportation possibilities, please contact your local Sursum Corda Group. You can also contact sursumcordastlouis@gmail.com if necessary. 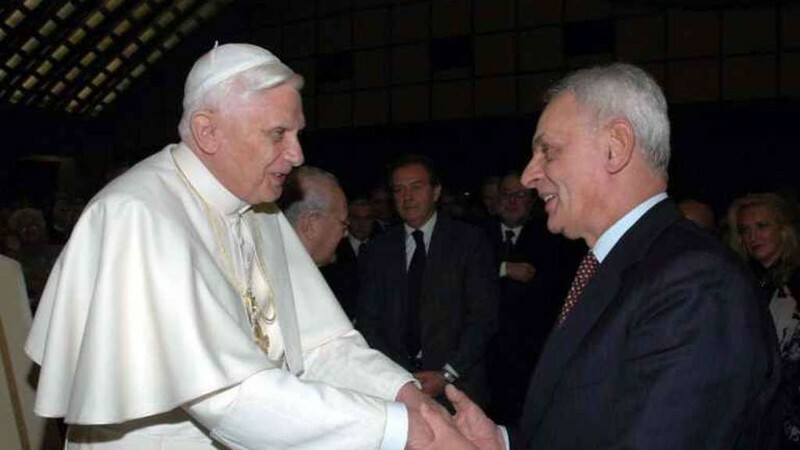 Benedict XVI vs. the Barbarians: Summorum Pontificum Ten Years Later"
The day the motu proprio Summorum Pontificum was released was an exceptionally unusual one for me: at last one of the seemingly lost causes I had championed for years had actually triumphed. Knowing of the document's imminent release, I awoke early that morning and eagerly devoured the text itself along with its accompanying letter to the bishops. What a delight to discover that basic Catholic truth so many of us had been called schismatics for defending: "What earlier generations held as sacred, remains sacred and great for us too, and it cannot be all of a sudden entirely forbidden or even considered harmful. It behooves all of us to preserve the riches which have developed in the Church’s faith and prayer, and to give them their proper place." I am of the opinion, to be sure, that the old rite should be granted much more generously to all those who desire it. It's impossible to see what could be dangerous or unacceptable about that. A community is calling its very being into question when it suddenly declares that what until now was its holiest and highest possession is strictly forbidden and when it makes the longing for it seem downright indecent. 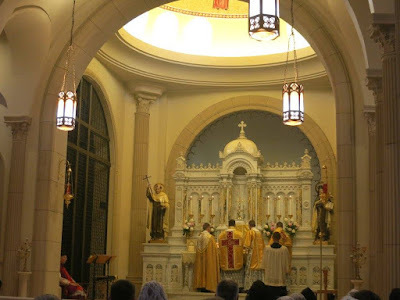 Contrary to what Roger Cardinal Mahony and other leftists had told their flocks, moreover, allowance for the traditional liturgy -- henceforth to be referred to as the Extraordinary Form of the Roman Rite -- was not simply for older folks who couldn't adapt. According to Benedict XVI, it "has clearly been demonstrated that young persons too have discovered this liturgical form, felt its attraction and found in it a form of encounter with the Mystery of the Most Holy Eucharist, particularly suited to them." The old liturgy, Benedict further added, was "never juridically abrogated." Ah, the knots that so-called conservative Catholics tied themselves into to insist that the old Mass had indeed been abrogated. Well, they were wrong, which means they were likewise wrong to have demonized us for telling the truth. I wound up writing a small book, Sacred Then and Sacred Now: The Return of the Old Latin Mass, for the purposes of (1) explaining and defending Pope Benedict's decision; (2) walking newcomers through the Extraordinary Form; (3) replying to common objections; and (4) explaining why features common to the Ordinary Form -- "Eucharistic ministers" and Communion in the hand, to name two -- were not to be introduced into the Extraordinary. Despite my profound gratitude to Benedict, who expended enormous political capital on behalf of a small, despised group of the faithful, I still feel compelled to note a most unfortunate omission. We needed Benedict XVI to offer the Extraordinary Form publicly. My sources kept telling me such an act was imminent. It never occurred.